Russian President Putin says he will sign a bill that bars Americans from adopting Russian children, despite criticism from US State Department officials, who say it would prevent unwanted kids from growing up in loving families. ciagovThis video was made by the National Reconnaissance Office for the declassification ceremony for CORONA, held on May 25, 1995. Video from the booklet "CIA Analysis of the Warsaw Pact Forces: The Importance of Clandestine Reporting." a sorry is not enough, because it still continues to be exploited slave labor in countries with dictatorships like Cuba. Swedish furniture giant Ikea on Friday admitted that some of its suppliers used forced labour in former Communist East Germany and expressed “deep regret” that its controls were less strict at the time. “In addition, the investigation showed there were Ikea managers who were aware of the possibility that political prisoners would be used to manufacture Ikea products in the former East Germany,” added the report by auditors Ernst and Young. While the firm took steps to ensure this did not occur, “it is now clear that these measures were not effective enough,” the furniture giant acknowledged. “At the time, we did not yet have the well-organised control system we have today and clearly did not do enough to prevent this type of production method,” the firm said. The Ernst and Young report examined around 20,000 documents from the Ikea archives between 1960 and 1990 as well as some 80,000 pieces of evidence from the German historical files. The auditors also carried out some 90 interviews with a variety of Ikea employees, as well as with prisoners and witnesses. “We deeply regret that this could happen,” said Jeanette Skjelmose, sustainability manager at Ikea. “The use of political prisoners in production has not been accepted at any time,” she added. But the report itself came under attack even before its publication. 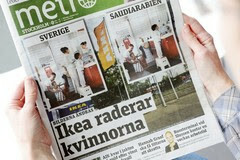 “Ikea as the guilty party is itself conducting the investigation rather than leaving it to unbiased sources. Therefore we strongly doubt the validity of the results,” he added. He called for historians and political scientists to carry out a more thorough investigation. According to media reports, Ikea was far from being the only company to employ forced labour in the former Communist East, noting that the mail-order companies Neckermann et Quelle are also alleged to have observed similar practices. But Rainer Wagner, the president of the UOKG group representing “victims of communist tyranny” told the Berliner Zeitung daily on Friday that Ikea’s efforts were “a start” and called on other firms to investigate their past. The UOKG and other victims’ groups have called for a compensation fund to be set up for former forced workers under the East German communist regime. terrible. esta el asunto de las minas antipersonales que ha provocado cientos miles de mutilaciones y decenas de miles muertos. uno de los legados de los camaradas sovietivos que tambien transmitieron a los kaxtroz. hay un convenio internacional para evitar su empleo, pero los hp de siempre no lo han firmado entre ellos cuba. cientos [o miles que nunca se sabra] cubanos las han sufrido en los campos de mimas que rodean la base naval de guantanamo de lo cual nadie habla. hay cientos de miles sino millones de minas sembradas por militares cubanos en muchos lugares del mundo particularmente en africa y centroamerica. tampoco se habla de ello ni se piden responsabilidades igualmente espantoso el asunto de las armas exportadas o regaladas a cualquiera que decia ser anti-yanqui. hoy cualquier idiota puede adquirir un akm-47 original en internet y causar una masacre. los otros - los yanquis digo-, tampoco se quedan atras. The Soviet Union collapsed overnight more than two decades ago. In Belarus, which suffered most in the aftermath of the Chernobyl nuclear disaster in 1986, the sudden demise of the nuclear superpower five years later left enough lethal legacy of other types to endanger the lives of several future generations. In a forest near the village of Savichi, some 160 km (100 miles) southwest of Minsk, one of these Soviet-era time bombs is still ticking. Here, under a thin layer of ground, hundreds of tons of highly toxic Soviet-made pesticides are stored in leaky dumps. Located just 3 km (2 miles) from a busy motorway, the dump spreads the pungent smell of chemicals far beyond its perimeter marked by rows of barbed wire. The poisonous substances hastily buried here back in the 1960-70s include the dreaded dichlorodiphenyltrichloroethane, more widely known as DDT, banned worldwide for several decades because it can cause cancer in humans. Belarus’s independence has given a new lease on life to places like Savichi, a forlorn area marked with signs reading: “Danger. Toxic chemicals.” A $5.5 million U.S. grant helps finance work aimed to clean up the pesticide disposal site. People clad in white chemical protection overalls and wearing gas masks load a greyish mixture of soil and chemicals leaked from rusty barrels into new blue-colored 70-kg (154 pound) plastic containers. Last year, workers loaded and sent a total of around 950 tons of the toxic substance to Germany for environmentally safe processing. This year they are completing work at this old dump, having packed more than 600 tons of pesticides in more than 9,000 containers. This project is coming to an end but officials say Belarus’s land holds several more huge Soviet-era dumps of toxic pesticides. And the time bombs continue ticking. 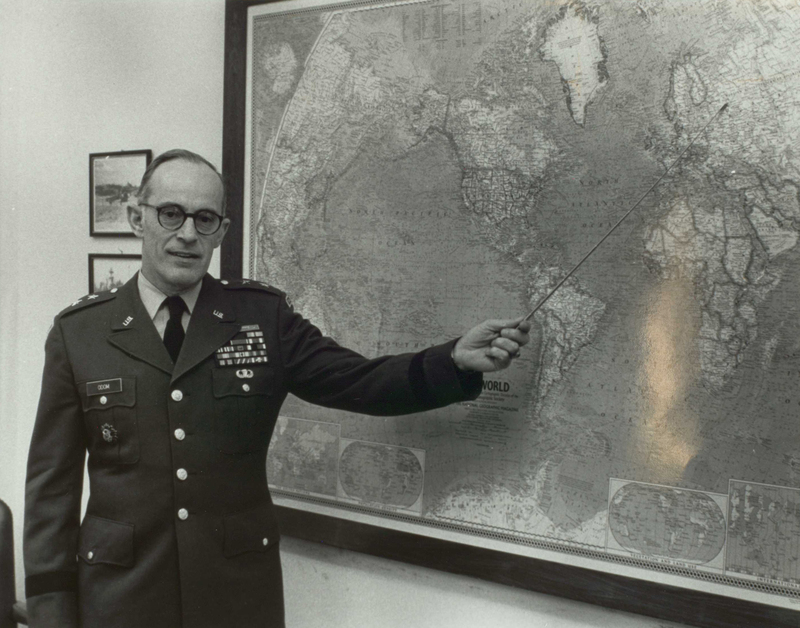 Zbigniew Brzezinski's military assistant Colonel William E. Odom played a central role in drafting PD-59 (Photo from William E. Odom Papers, box 30, Library of Congress Manuscript Division). An exmple of the extensive press coverage of PD-59 during August 1980, The Washington Post, August 6, 1980. Washington, D.C., September 14, 2012 – The National Security Archive is today posting - for the first time in its essentially complete form - one of the most controversial nuclear policy directives of the Cold War. Presidential Directive 59 (PD-59), "Nuclear Weapons Employment Policy," signed by President Jimmy Carter on 25 July 1980, aimed at giving U.S. Presidents more flexibility in planning for and executing a nuclear war, but leaks of its Top Secret contents, within weeks of its approval, gave rise to front-page stories in the New York Times and the Washington Post that stoked wide-spread fears about its implications for unchecked nuclear conflict. The National Security Archive obtained the virtually unexpurgated document in response to a mandatory declassification review request to the Jimmy Carter Library [See Document 12]. Highly classified for years, PD 59 was signed during a period of heightened Cold War tensions owing to the Soviet invasion of Afghanistan, greater instability in the Middle East, and earlier strains over China policy, human rights, the Horn of Africa, and Euromissiles. In this context, the press coverage quickly generated controversy by raising apprehensions that alleged changes in U.S. strategy might lower the threshold of a decision by either side to go nuclear, which could inject dangerous uncertainty into the already fragile strategic balance. The press coverage elicited debate inside and outside the government, with some arguing that the PD would aggravate Cold War tensions by increasing Soviet fears about vulnerability and raising pressures for launch-on-warning in a crisis. Adding to the confusion was the fact that astonishingly, even senior government officials who had concerns about the directive did not have access to it. PD-59 sought a nuclear force posture that ensured a "high high degree of flexibility, enduring survivability, and adequate performance in the face of enemy actions." If deterrence failed, the United States "must be capable of fighting successfully so that the adversary would not achieve his war aims and would suffer costs that are unacceptable." To make that feasible, PD-59 called for pre-planned nuclear strike options and capabilities for rapid development of target plans against such key target categories as "military and control targets," including nuclear forces, command-and-control, stationary and mobile military forces, and industrial facilities that supported the military. Moreover, the directive stipulated strengthened command-control-communications and intelligence (C3I) systems. 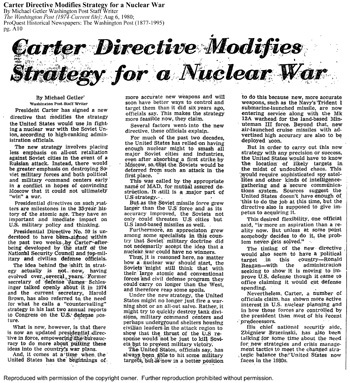 President Carter's first instructions on the U.S. nuclear force posture, in PD-18, "U.S. National Strategy," supported "essential equivalence", which rejected a "strategic force posture inferior to the Soviet Union" or a "disarming first strike" capability, and also sought a capability to execute "limited strategic employment options." A key element of PD-59 was to use high-tech intelligence to find nuclear weapons targets in battlefield situations, strike the targets, and then assess the damage-a "look-shoot-look" capability. A memorandum from NSC military aide William Odom depicted Secretary of Defense Harold Brown doing exactly that in a recent military exercise where he was "chasing [enemy] general purpose forces in East Europe and Korea with strategic weapons." The architects of PD-59 envisioned the possibility of protracted nuclear war that avoided escalation to all-out conflict. According to Odom's memorandum, "rapid escalation" was not likely because national leaders would realize how "vulnerable we are and how scarce our nuclear weapons are." They would not want to "waste" them on non-military targets and "days and weeks will pass as we try to locate worthy targets." An element of PD-59 that never leaked to the press was a pre-planned option for launch-on-warning. It was included in spite of objections from NSC staffers, who saw it as "operationally a very dangerous thing." Secretary of State Edmund Muskie was uninformed about PD-59 until he read it about in the newspapers, according to a White House chronology. The State Department had been involved in early discussions of nuclear targeting policy, but National Security Adviser Brzezinski eventually cut out the Department on the grounds that targeting is "so closely related to military contingency planning, an activity that justly remains a close-hold prerogative and responsibility" of the Pentagon. The drafters of PD 59 accepted controversial ideas that the Soviets had a concept of victory in nuclear war and already had limited nuclear options. Marshall Shulman, the Secretary of State's top adviser on Soviet affairs, had not seen PD-59 but questioned these ideas in a memorandum to Secretary Muskie: "We may be placing more weight on the Soviet [military] literature than is warranted." If the Soviets perused U.S. military writing, it could "easily convince them that we have such options and such beliefs." 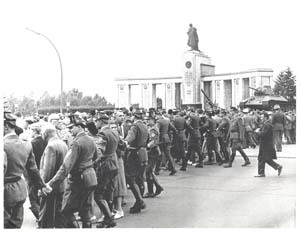 Post-Cold War studies suggest that Shulman was correct because the Soviet leadership realized that neither side could win a nuclear war and had little confidence in the Soviet Union's ability to survive a nuclear conflict. When Jimmy Carter became president in January 1977, he inherited nuclear weapons targeting policies from his Republican predecessors, who had sought ways to give U.S. presidents alternatives to the terrifyingly massive and rigid pre-planned options of the Single Integrated Operational Plan [SIOP]. To make nuclear threats more plausible and to give presidents more choices than the SIOP attack options, in January 1974, Richard Nixon signed National Security Decision Memorandum [NSDM] 242. A few months later, in April 1974, Secretary of Defense James Schlesinger signed Nuclear Weapons Employment Policy [NUWEP] which provided guidance for the creation of limited, selective, and regional attacks, with more detail for major attack options. Among the goals set for Major Attack Options in the NUWEP was the destruction of "selected economic and military resources of the enemy critical to post-war recovery," including political and military leadership targets. With respect to economic recovery targets, the NUWEP called for inflicting "moderate damage on facilities comprising approximately 70% of [the Soviet or Chinese] war-supporting economic base." The perception that the NSDM-242 exercise had not given the President more options for crisis-confrontation situations [see Document 1 below] led the Carter White House to initiate a nuclear targeting review that eventually produced PD-59. The Joint Strategic Target Planning Staff [JSTPS] had shown proficiency in creating massively destructive "pre-planned" nuclear strikes against Soviet military targets, but the Carter White House saw them as largely irrelevant. As Bzezinski explained, the "very likelihood of all out nuclear war is increased if all out spasm war is the only kind of nuclear war we can fight." Starting with the premise that conflict was more likely to start in Central Europe or Northeast Asia, the architects of PD-59 believed that high-tech reconnaissance systems could give the president and his advisers a "look-shoot-look" capability to improvise targeting during war. In this way, they could strike Warsaw Pact forces on the move with nuclear weapons instead of launching SIOP attacks against major military targets in the Soviet Union. The JSTPS had responsibility for the SIOP, under the direction of an Air Force general who wore a second hat as Commander-in-Chief of the Strategic Air Command. In this capacity, he had a powerful influence in the military bureaucracy. 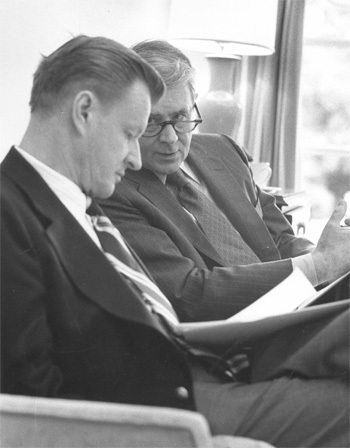 Brzezinski aide William Odom saw little value to the massive SIOP attack options, believing that a flexible targeting system could help provide an adequate deterrent, but he could not wish SAC and the SIOP out existence because its leaders believed that those options were critical to the national defense. Thus, PD 59 was necessarily a bureaucratic compromise by providing for pre-planned attack options, including launch-on-warning but also flexibility to prepare war plans on "short notice" and strategic reserve forces for later stages of a conflict. War plans could range from massive attacks to "flexible sub-options" against broad classes of targets. To ensure that attack plans could be improvised, PD-59 mandated the creation of "staff capabilities" in the military and at the Pentagon that could "develop operational plans on short notice … based on the latest intelligence." War plans developed under PD-59 were to "put the major weight of the initial response on military and control targets." Target systems would include tactical and strategic nuclear forces, military command centers, conventional military forces including armies in motion, and industrial facilities supporting military operations. Dropping "critical" recovery targets as a priority, pre-planned options would include "attacks on the political control system and on general industrial capability" either promptly or as "relatively prolonged withholds" that could be attacked later in a conflict. 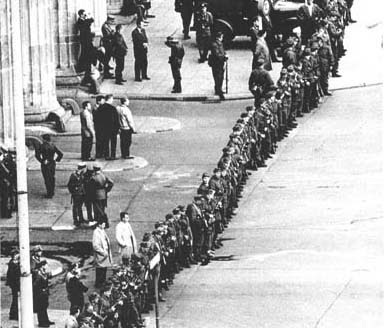 Yet the initial press coverage of PD-59 was slightly misleading by suggesting that targeting before the directive had focused on urban centers; the SIOP had always given priority to military targets and had provisions for excluding attacks on urban-industrial complexes unless Moscow had already attacked U.S. cities. The press coverage cited "shudders" among former government officials such as Herbert Scoville who worried that the search for "less fearsome options for using nuclear weapons would reduce the inhibitions for employing them." Moreover, Federation of American Scientists Director Jeremy Stone asked "Who would be there to turn off the war if we nuked Soviet command centers?" Stone warned about pressures for "firing on warning", although the language on launch-on-warning was one element of the PD that stayed secret. Those concerns dovetailed with private misgivings among State Department officials, such as Marshall Shulman who worried that the reported emphasis on the role of leadership and C3I targets could "only increase Soviet perceptions of vulnerability" and introduce "further instability in the strategic balance." 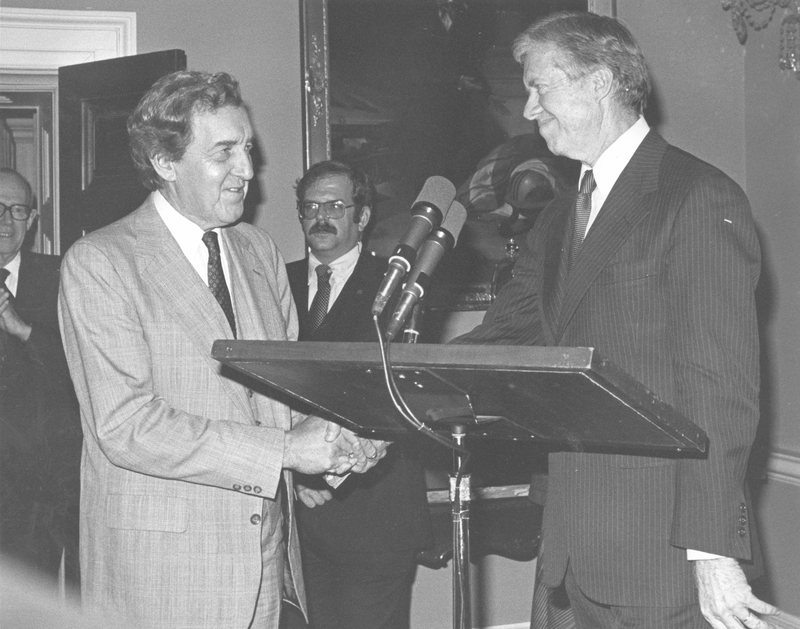 Newspaper stories about PD-59 raised questions whether President Carter and his advisers had adequately consulted Secretary of State Muskie and the State Department before or after signing the PD. Muskie first learned about the PD from the press coverage, which then noted his "unhappiness that he knew so little about the new doctrine." This became an issue at the State Department, which did not have a copy of the directive and where senior officials argued that the Department should be involved in the "formulation and assessment of national security decisions that have significant foreign policy implications." Muskie's top advisers recommended that he seek an understanding with President Carter that this should not have happened and should not happen again, but whether the two reached a meeting of the minds on this point is not clear. One of the purposes of the PD was to influence more detailed guidance on nuclear targeting. Top-level officials at the Pentagon and the Joint Strategic Target Planning Staff would use the ideas codified in the directive to develop more detailed instructions for shaping the production of pre-planned options and for developing "look-shoot-look" capabilities. By October 1980, Secretary of Defense Brown had approved the latest Nuclear Weapons Employment Policy to provide guidance for targeting in a crisis [see Document 21] Yet the ink had hardly dried on Brown's NUWEP when Ronald Reagan defeated Jimmy Carter for the presidency; in October 1981 the new administration supplanted PD-59 with National Security Decision Directive 13, "Nuclear Weapons Employment Policy." NSDD-13 influenced NUWEP-82 which replaced Brown's guidance. NSDD-13 remains largely classified, but years later, Odom wrote that it "carr[ied] the general thrust of PD-59, but with less comprehension of what was needed," and that "little or nothing of consequence was done to pursue this doctrinal change." Future declassifications may test the accuracy of Odom's judgments. In any event, PD-59 (as well as NSDM-242) set the mold for target planning during the decades that followed, during and after the Cold War era. According to a recent Government Accountability Office report, "the process for developing nuclear targeting and employment guidance … has remained virtually unchanged since 1991." Presidential directives and secretary of defense guidance approved during the George W. Bush administration included familiar themes. They provided for a planning structure "designed to avoid an 'all-or-nothing' response to a nuclear attack," identified "potential adversaries" and "scenarios" requiring pre-planned options, and emphasized a "capability to rapidly develop new options." While President Obama has set a nuclear-free world as a policy goal, it is unlikely that nuclear planning arrangements will change significantly in the foreseeable future. Eisenhower’s statement came in response to a threat issued by Soviet Premier Nikita Khrushchev. 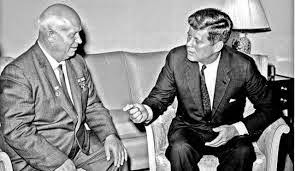 In a Moscow speech, Khrushchev said the Soviet Union was prepared to use its missiles to protect Cuba from U.S. military intervention. “One should not forget,” Khrushchev declared, “that now the United States is no longer at an unreachable distance from the Soviet Union as it was before.” He charged that the United States was “plotting insidious and criminal steps” against Cuba. The verbal volley between Moscow and Washington came amid a rapidly deteriorating climate in Cuban-American relations — some 18 months after Fidel Castro had overthrown Fulgencio Batista, that nation’s longtime dictator. Although the United States had recognized the new revolutionary government, many top U.S. officials believed that Castro was moving to establish a communist regime in Cuba. Accordingly, on July 3, Washington suspended sugar purchases from Cuba, which accounted, at the time, for 80 percent of Cuban exports to the United States. Two days later, Castro nationalized all U.S. businesses and commercial property on the island. Eisenhower retaliated by canceling Cuba’s remaining 1960 sugar quota. On July 8, the Soviet Union announced it would buy all of the sugar that had been cut off by Washington. Washington, D.C., March 1, 2012 – During the 2008 campaign, Democratic presidential hopefuls Hillary Clinton and Barack Obama debated the question: who was best suited to be suddenly awakened at 3 a.m. in the White House to make a tough call in a crisis. The candidates probably meant news of trouble in the Middle East or a terrorist attack in the United States or in a major ally, not an 'end of the world' phone call about a major nuclear strike on the United States. In fact at least one such phone call occurred during the Cold War, but it did not go to the President. It went to a national security adviser, Zbigniew Brzezinski, who was awakened on 9 November 1979, to be told that the North American Aerospace Defense Command (NORAD), the combined U.S.–Canada military command–was reporting a Soviet missile attack. Just before Brzezinski was about to call President Carter, the NORAD warning turned out to be a false alarm. It was one of those moments in Cold War history when top officials believed they were facing the ultimate threat. The apparent cause? The routine testing of an overworked computer system. Recently declassified documents about this incident and other false warnings of Soviet missile attacks delivered to the Pentagon and military commands by computers at NORAD in 1979 and 1980 are published today for the first time by the National Security Archive. The erroneous warnings, variously produced by computer tests and worn out computer chips, led to a number of alert actions by U.S. bomber and missile forces and the emergency airborne command post. Alarmed by reports of the incident on 9 November 1979, the Soviet leadership lodged a complaint with Washington about the "extreme danger" of false warnings. While Pentagon officials were trying to prevent future incidents, Secretary of Defense Harold Brown assured President Jimmy Carter that false warnings were virtually inevitable, although he tried to reassure the President that "human safeguards" would prevent them from getting out of control. Reports that the mistaken use of a nuclear exercise tape on a NORAD computer had produced a U.S. false warning and alert actions prompted Soviet Communist Party General Secretary Leonid Brezhnev to write secretly to President Carter that the erroneous alert was "fraught with a tremendous danger." Further, "I think you will agree with me that there should be no errors in such matters." Commenting on the November 1979 NORAD incident, senior State Department adviser Marshal Shulman wrote that "false alerts of this kind are not a rare occurrence" and that there is a "complacency about handling them that disturbs me." With U.S.-Soviet relations already difficult, the Brezhnev message sparked discussion inside the Carter administration on how best to reply. Hard-liners prevailed and the draft that was approved included language ("inaccurate and unacceptable") that Marshal Shulman saw as "snotty" and "gratuitously insulting." Months later, in May and June 1980, 3 more false alerts occurred. The dates of two of them, 3 and 6 June 1980, have been in the public record for years, but the existence of a third event, cited in a memorandum from Secretary of Defense Brown to President Carter on 7 June 1980, has hitherto been unknown, although the details are classified. 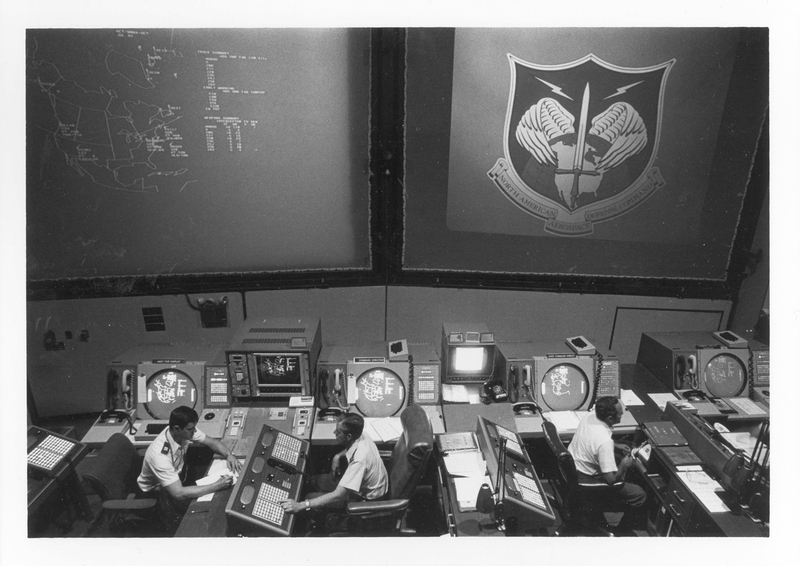 False alerts by NORAD computers on 3 and 6 June 1980 triggered routine actions by SAC and the NMCC to ensure survivability of strategic forces and command and control systems. The National Emergency Airborne Command Post (NEACP) at Andrews Air Force Base taxied in position for emergency launch, although it remained in place. Because missile attack warning systems showed nothing unusual, the alert actions were suspended. Supposedly causing the incidents in June 1980 was the failure of a 46¢ integrated circuit ("chip") in a NORAD computer, but Secretary of Defense Brown reported to a surprised President Carter that NORAD "has been unable to get the suspected circuit to fail again under tests." In reports to Carter, Secretary cautioned that "we must be prepared for the possibility that another, unrelated malfunction may someday generate another false alert." Nevertheless, Brown argued that "human safeguards"—people reading data produced by warning systems--ensured that there would be "no chance that any irretrievable actions would be taken." By the end of the 1960s, the United States was getting ready to deploy the Defense Support Program satellites which use infrared technology to detect plumes produced by missile launches. DSP could be used to tell whether missile launches were only tests or whether they signified a real attack by detecting number of missile launches and trajectory. This provided25 to 30 minutes of warning along with information on the trajectory and ultimate targets of the missiles. As long as decision-makers were not confronting the danger of a SLBM launch, the DSP would give them some time to decide how to retaliate. In 1972, the North American Aerospace Command (NORAD) began to network warning systems into at "interlinked system" operated at its headquarters in Cheyenne Mountain, Colorado. A complex computer-based system always bore the risk of failure, break-downs, or errors. Even before networking emerged, false warnings emerged as early as 1960 when a BMEWs radar in Greenland caught "echoes from the moon," which generated a report of a missile attack which was quickly understood to be false (see document 1). 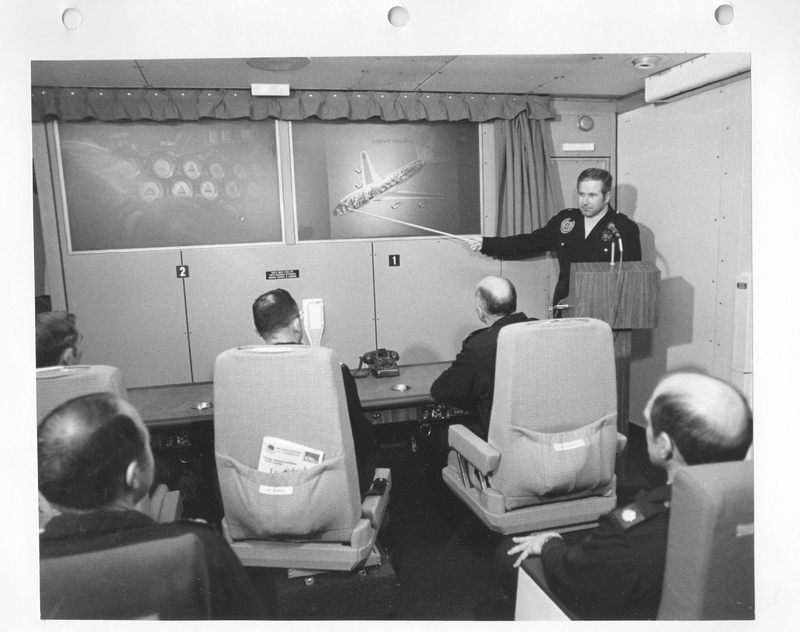 During the Cuban Missile Crisis false warning episodes occurred, some of them involving NORAD, that were virtually unknown for many years. If there were significant incidents during the years that followed, it remains to be learned. But once the networked systems were in place, the possibility that they would typically produce false warnings became evident. "As he recounted it to me, Brzezinski was awakened at three in the morning by [military assistant William] Odom, who told him that some 250 Soviet missiles had been launched against the United States. Brzezinski knew that the President's decision time to order retaliation was from three to seven minutes …. Thus he told Odom he would stand by for a further call to confirm Soviet launch and the intended targets before calling the President. Brzezinski was convinced we had to hit back and told Odom to confirm that the Strategic Air Command was launching its planes. When Odom called back, he reported that … 2,200 missiles had been launched—it was an all-out attack. 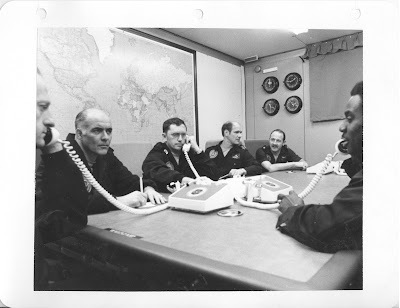 One minute before Brzezinski intended to call the President, Odom called a third time to say that other warning systems were not reporting Soviet launches. Sitting alone in the middle of the night, Brzezinski had not awakened his wife, reckoning that everyone would be dead in half an hour. It had been a false alarm. Someone had mistakenly put military exercise tapes into the computer system." -- Robert M. Gates. From the Shadows: The Ultimate Insider's Story of Five Presidents and How they Won the Cold War (New York: Simon & Shuster, 1996),114. The series of alarming incidents and telephone phone calls recounted by former NSC staffer (and later CIA director and future Secretary of Defense) Robert Gates took place in the middle of the night on 9 November 1979. Because of the potentially grave implications of the event, the episode quickly leaked to the media, with the Washington Post and The New York Times printing stories on what happened. According to press reports, based on Pentagon briefings, a NORAD staffer caused the mistake by mistakenly loading a training/exercise tape into a computer, which simulated an "attack into the live warning system." This was a distortion because it was not a matter of a "wrong tape," but software simulating a Soviet missile attack then testing NORAD's 427M computers "was inexplicably transferred into the regular warning display" at the Command's headquarters. Indeed, NORAD's Commander-in-chief later acknowledged that the "precise mode of failure … could not be replicated." The information on the display simultaneously appeared on screens at SAC headquarters and the National Military Command Center (NMCC), which quickly led to defensive actions: NORAD alerted interceptor forces and 10 fighters were immediately launched. 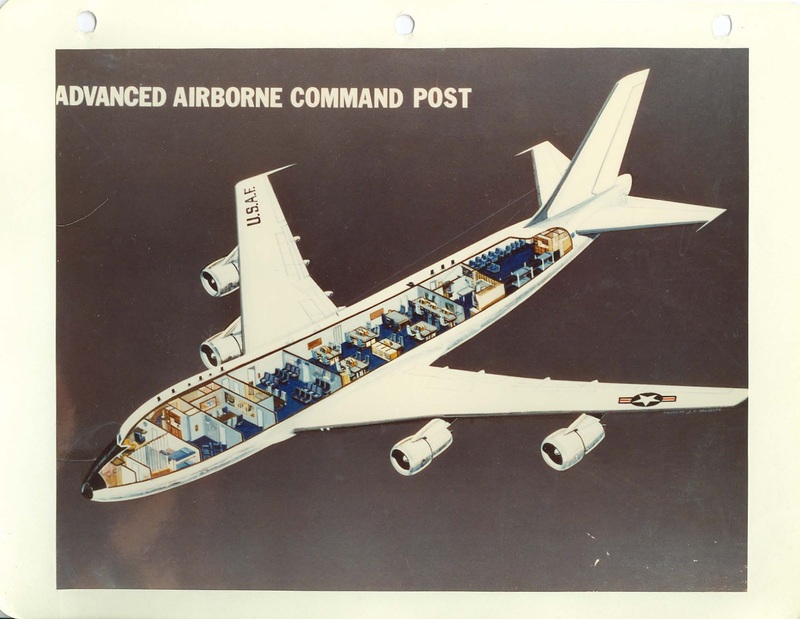 Moreover, the National Emergency Airborne Command Post (NEACP), used so the president could control U.S. forces during a nuclear war, was launched from Andrews Air Force Base, although without the president or secretary of defense. Some of this information did not reach the public for months, but at least one reporter received misleading information about how high the alert went. According to the New York Times' sources, the warning was "deemed insufficiently urgent to warrant notifying top Government or military officials." Apparently no one wanted to tell reporters (and further scare the public) that the phone call went to President's Carter's national security adviser Zbigniew Brzezinski. The behind-the-scenes story became more complicated because the Soviet leadership was worried enough to lodge a complaint with Washington. The Cold War tensions had already been exacerbated during the previous year and this could not help (nor could an impending Kremlin decision to invade Afghanistan). On 14 November, party leader Leonid Brezhnev sent a message via Ambassador Anatoly Dobyrnin expressing his concern about the incident which was "fraught with a tremendous danger." What especially concerned Brezhnev were press reports that top U.S. leaders had not been informed at the time about the warning. The Defense Department and Brzezinski took hold of the reply to Brezhnev's message which senior State Department adviser Marshall Shulman saw as "gratuitously snotty" (for example, language about the "inaccurate and unacceptable" Soviet message). The Soviets were indeed miffed because they later replied that the U.S. message was not "satisfactory" because it had taken a polemical approach to Moscow's "profound and natural concern." About seven months later, U.S. warning systems generated three more false alerts. One occurred on 28 May 1980; it was a minor harbinger of false alerts on 3 and 6 June 1980. According to the Pentagon, what caused the malfunctions in June 1980 was a failed 46¢ micro-electronic integrated circuit ("chip") and "faulty message design." A computer at NORAD made what amounted to "typographical errors" in the routine messages it sent to SAC and the National Military Command Center (NMCC) about missile launches. While the message usually said "OOO" ICBMs or SLBMs had been launched, some of the zeroes were erroneously filled in with a 2, e.g. 002 or 200, so the message indicated that 2, then 200 SLBMs were on their way. Once the message arrived at SAC, the command took survivability measures by ordering bomber pilots and crews to their stations at alert bombers and tankers and to start the engines. No NORAD interceptors were launched so something had been learned from the November episode, but SAC took same precautionary measures. The Pacific Command's airborne command post ("Blue Eagle") was launched for reasons that remain mysterious. NEACP taxied in position at Andrews Air Force Base, but it was not launched as in November. That missile warning sensors (DSP, BMEWs, etc) showed nothing amiss made it possible for military commanders to call off further action. 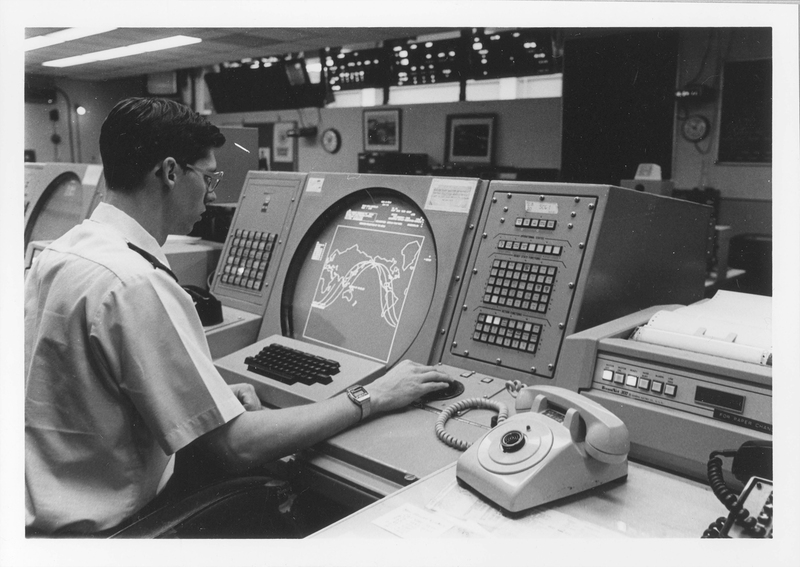 According to a Senate report, NORAD ran its computers the next 3 days in order to isolate the cause of the error; the "mistake was reproduced" in the mid-afternoon of 6 June with the similar results and SAC took defensive measures. When Harold Brown explained to President Carter what had happened and what was being done to fix the system, he cautioned that "we must be prepared for the possibility that another, unrelated malfunction may someday generate another false alert." This meant that "we must continue to place our confidence in the human element of our missile attack warning system." Brown, however, did not address a problem raised by journalists who asked Pentagon officials, if another false alert occurred, whether a "chain reaction" could be triggered when "duty officers in the Soviet Union read data on the American alert coming into their warning systems." A nameless U.S. defense official would give no assurances that a "chain reaction" would not occur, noting that "I hope they have as secure a system as we do, that they have the safeguards we do." How good the safeguards actually were remains an open question. While Secretary of Defense Brown acknowledged the "possibility" of future false alerts, he insisted on the importance of human safeguards in preventing catastrophes. Stanford University professor Scott Sagan's argument about "organizational failure" is critical of that optimism on several counts. For example, under some circumstances false alerts could have had more perilous outcomes, e.g. if Soviet missile tests had occurred at the same time or if there were serious political tensions with Moscow, defense officials might have been jumpier and launched bomber aircraft or worse. Further, false warnings were symptomatic of "more serious problems with the way portions of the command system had been designed." Yet, defense officials have been reluctant to acknowledge organizational failings, instead blaming mistakes on 46¢ chips or individuals inserting the wrong tape. Treating the events of 1979 and 1980 as "normal accidents" in complex systems, Sagan observes that defense officials are reluctant to learn from mistakes and have persuaded themselves that the system is "foolproof." Bruce Blair also sees systemic problems. Once a "launch-under--attack" strategic nuclear option became embedded in war planning policy during the late 1970s, he sees the weakening of the safeguards that had been in place, e.g., confirmation that a Soviet nuclear attack was in progress or had already occurred. One of the arguments for taking Minuteman ICBMs off their current high alert status (making virtually instantaneous launch possible) has been that a false warning, combined with an advanced state of readiness, raises the risk of accidental nuclear war. The risk of false alerts/accidental war is one of the considerations that is prompting other anti-nuclear activists, including Daniel Ellsberg, to protest at Vandenberg Air Force Base against the Minuteman ICBM program and the continued testing of Minutemen. The Soviet nuclear command and control system that developed during the 1980s provides an interesting contrast with the U.S.'s. While the United States emphasized "human safeguards" as a firewall, the "Perimeter" nuclear warning-nuclear strike system may have minimized them. In large part, it was a response to Soviet concern that a U.S. decapitating strike, aimed at the political leadership and central control systems, could cripple retaliatory capabilities. Reminiscent of the "doomsday machine" in Stanley Kubrick's Dr. Strangelove or How I Learned to Stop Worrying and Love the Bomb, Perimeter could launch a semi-automatic nuclear strike under specified conditions, for example, no contact with political or military leaders, atomic bombs detonating, etc. If such conditions were fulfilled, a few military personnel deep in an underground bunker could launch emergency command and control rockets which in turn would transmit launch orders to ICBMs in their silos. According to David Hoffman's Pulitzer-prize winning The Dead Hand, when Bruce Blair learned about Perimeter, he was "uneasy that it put launch orders in the hands of a few, with so much automation." While the system may have been operational as late as the early 1990s, only declassification decisions by Russian authorities can shed light on Perimeter's evolution. According to Bruce Blair, writing in the early 1990s, warning system failures continued after 1980, although they did not trigger alert measures. The U.S. nuclear incidents that have received the most attention have not been false warnings, but events such as the Air Force's accidental movement of nuclear-tipped cruise missiles from Minot AFB to Barksdale AFB in 2007 and the mistaken transfer of Minuteman nose-cone assemblies to Taiwan in 2006. In any event, more needs to be learned about the problem of false warnings during and after the Cold War and pending declassification requests and appeals may shed further light on this issue. Twenty five years ago, when President Ronald Reagan and Soviet leader Mikhail Gorbachev met at Reykjavik, Iceland on 11-12-October 1986, their far-reaching discussions involved proposals to abolish nuclear weapons by first moving toward a zero ballistic missiles option. Weighed down by mistrust and competing objectives, the discussions on ending the nuclear arms race collapsed. That Ronald Reagan supported nuclear abolition at Reykjavik is a lacuna in an otherwise informative and highly professional video documentary on the history of U.S. nuclear policy produced by Sandia National Laboratories obtained under the Freedom of Information Act and published today for the first time by the National Security Archive. One of the most distinctive productions of the Department of Energy, "U.S. Strategic Nuclear Policy," is a four-part nearly four-hour long oral history/video documentary. Completed in 2005 by Sandia under the direction of staffer Dan Curry (scriptwriter and interviewer), this is an engrossing piece of work that that will be a significant resource for historians, social scientists, students, and the interested public. Starting with World War II and the atomic bombing of Japan, this policy-oriented documentary takes the story of U.S. nuclear policy, with a focus on the history of nuclear deterrence through the course of the Cold War, and then from the early post-Cold War period to the aftermath of 9/11. Concern during the 1980s that nuclear targeting was "out of control"
Curry interviewed a number of key decision-makers and mid-level officials from the Cold War years, some more recent (as of 2004) defense officials and advisers, and academic specialists, including a few skeptical and dissident voices (See annex C for the list). Providing multiple perspectives on a variety of issues, the interviewees include a variety of senior and mid-level officials such as former Secretaries of Defense Robert McNamara and James Schlesinger, Eisenhower administration officials Robert Bowie and Andrew Goodpaster, former national security adviser Brent Scowcroft, and the last commander-in-chief of the Strategic Air Command, General Lee Butler. Also interviewed were university researchers including Stanford University professors Lynn Eden, Scott Sagan, and David Holloway, University of Pittsburgh professor Janne Nolan, University of Wisconsin professor Paul Boyer, and the late Randall Forsberg, a peace activist/scholar affiliated with the City College of New York. Many of the issues covered by the interview subjects and the narrative will be familiar to students of nuclear history. Nevertheless, the use of interview material and film footage makes for some fascinating viewing. The coverage of nuclear war planning and targeting, from war plans during the early Cold War to the creation of the first SIOP are particularly arresting. Besides using film footage of nuclear tests, summit meetings, and the like, the producers use, to good effect, images of government documents produced during all the phases of U.S. nuclear history, from the Cold War into the 1990s. Viewers even see the cover pages of documents that remain classified, such as the SIOP of the 1980s, although sometimes blurring the text to preserve secrecy. Sandia director Thomas Hunter explains at the beginning of the film that one of the purposes of the documentary was to promote discussion of two questions: 1) what will be the role of nuclear weapons, and 2) what will be future requirements for nuclear weapons? The language on the film box, referring to the "timeless" relevance of nuclear deterrence, suggests that the producers of the film assumed that the answers would take for granted the necessity of nuclear weapons. This affirmative approach plainly fits Sandia's objective of assuring the reliability, safety and security of the U.S. nuclear arsenal. That the likely audience for the documentary was government and military officials might have reinforced the "don't rock the boat" approach, although such audiences probably have diverse views about the worth of nuclear weapons. Nevertheless, even after taking into account institutional bias, the limits of oral history, and inevitable errors and omissions in the coverage, the four disks achieve credible results in using interviews and other source material to recount a complex and consequential story. Sandia also produced a classified version of "U.S. Strategic Nuclear Policy," for which the National Security Archive has submitted a declassification request. It probably includes information on targeting policy, nuclear weapons, warning systems, and strategic intelligence collection that the producers considered too sensitive to discuss in a public release. Certainly, viewers of the non-classified version will notice a few gaps, such as the non-discussion of satellite intelligence, although the CIA and the National Reconnaissance Office have declassified some of the basics years ago. The Iron Curtain Museum has opened in a former Communist police border control building on the Czech/German border. The museum documents the Cold War with more than 800 photographs on display.